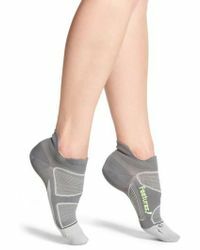 High performance socks are definitely a thing, and Feetures designs them best. 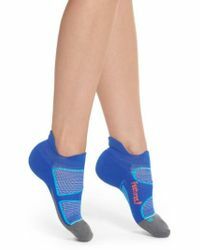 Basically, they're lightweight accessories designed with moisture-wicking technology to keep you dry whenever you sweat. You'll even find cushioned panels on the heels of every pair, which makes sure you're comfy during intense workouts, hiking or just lounging. Go for the label's bold, colour-block styles and always stand out.